Mowers at Jacks is not new to the lawn mower and outdoor power equipment business. 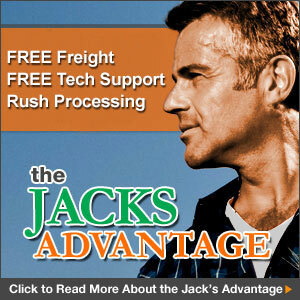 We are actually the new face of the business Jacks Small Engines has been providing for years. We continue to do business selling lawn mowers and lawn equipment. Our experience selling and servicing lawn mowers and outdoor power equipment gives us a leg up on the competition. We want to provide the best online shopping experience, so we have features like our Choose the Best Lawn Mower walk through and as much information as we can possibly provide about the mowers we sell. See pictures from multiple angles, technical specs, and model specific options. The staff at Mowers at Jacks has experience with the brands that we offer (Ariens Mowers, Billy Goat Equipment, BlueBird Equipment, Classen Turf Equipment, Briggs & Stratton Equipment, Generac Generators, Gravely Equipment, Honda Lawn Mowers, Husqvarna Mowers, Little Wonder Equipment, Mantis Tillers, Poulan Pro Equipment, Pressure-Pro Equipment, RedMax Power Equipment, Ryan Turf Equipment, Scag Mowers, Simplicity Tractors, Snapper Mowers, Tanaka Equipment, and Toro Lawn Mowers). Mowers at Jacks also features brush cutters, chainsaws, power cutters, edgers, generators, ground maintenance equipment, hedge trimmers, string trimmers, leaf blowers, log splitters, tillers, pole saws, pressure washers, and water pumps. Mowers at Jacks is your one stop shop for Lawn and Garden Power Equipment.